Jerusalem City Council has approved the construction of almost 400 new settlements in two districts of the city and its southern part, including annexed areas situated beyond the Green Line. 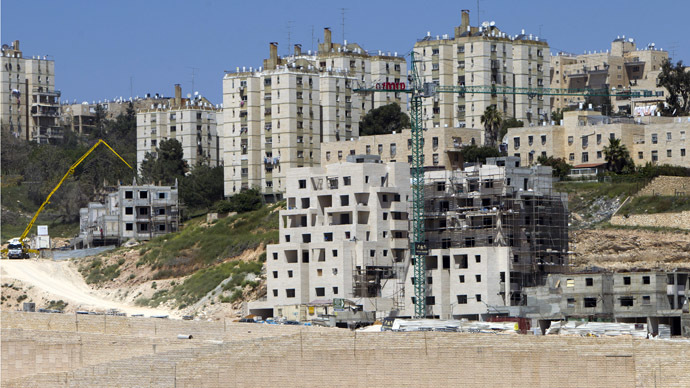 "The municipal commission has given construction permits for 307 homes in Ramot and 73 in Har Homa," Yosef Pepe Alalu, a Jerusalem city councilor, said. The decision, which was made on Wednesday after debates, is final. Construction may start at any time. The commission also approved the construction of 1,850 homes in Arnona in southern Jerusalem, part of which is situated beyond the so-called Green Line – the demarcation line set out in the 1949 Armistice Agreements between the armies of Israel and those of Arab countries, after the Arab-Israeli war. It is often referred to as the pre-1967 border. The construction approvals may threaten the peace process between the Israelis and Palestinians, critics warn. “Attempts are always being made to prove, forcibly, that Jerusalem is unified and to create facts on the ground. But we see in the meantime that all possibility of an agreement and of coexistence is receding more and more into the distance,” Alalu said. However, many Israeli officials have a different opinion. Israel claimed East Jerusalem during the 1967 Six-Day War, with its annexation never being recognized internationally. Since then, Israel has built numerous settlements which are now under military regulation, with different laws applied arbitrarily to certain areas.